Why so many get into a pickle over making a souffle is hard to understand, there is nothing complicated about, you just need to follow a few simple hints and tips. 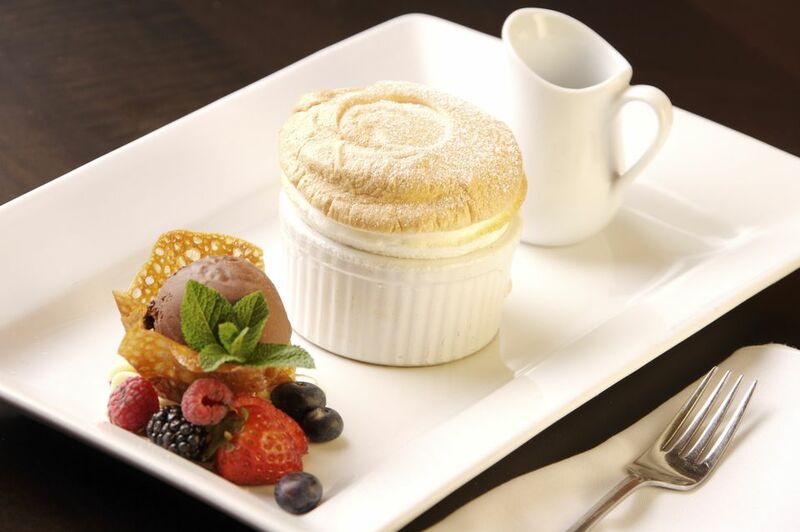 The souffle is so versatile and can carry many flavors but none is as classic as the Ultimate Lemon Souffle. This souffle recipe fits in with so many menus and tastes, it is both fancy and yet so easy to prepare as an every day. dessert. Finish off your souffle with a little confectioners' sugar over the top and serve with a few, plump berries for a treat that's at once visually spectacular and amazingly simple. Preheat the oven to 350F. Butter a large soufflé dish and roll 1/4 cup of granulated sugar throughout the dish, making sure to cover all the interior surfaces. Stir together 1/3 cup granulated sugar, 1/3 cup all-purpose flour, lemon zest, and the remaining 1/3 cup milk until it forms a smooth batter. Add the tempered batter back to the hot milk in the pan and bring the mixture to a simmer, stirring constantly. Stir and cook the mixture until it has thickened, for about 1 minute. Stir the butter into the mixture and allow it to cool at room temperature for 10 minutes. In a separate bowl, beat the egg whites on medium high speed until they become foamy, and then add the remaining 2 tablespoons sugar. Continue beating the egg whites on high speed until they hold stiff glossy peaks. Gently stir 1/3 of the egg whites into the vanilla mixture, then carefully fold in the remaining whipped egg whites. The vanilla mixture should be evenly colored and light and bubbly, without egg white streaks or marbling. Serve the soufflé with a dusting powdered sugar and a few plump berries, if desired.